Bill Kincaid is no stranger to racing. He's been a life-long fan of automobiles, and years of experience behind the wheel of formula cars has left him with both the skill and talent to navigate racetrack traffic with precision and speed. He's learned the ins-and-outs of open wheel racing... enough to put his privateer efforts into the realm of the competitive. Touring cars - especially vintage ones - on the other hand, are a bit foreign to Bill. 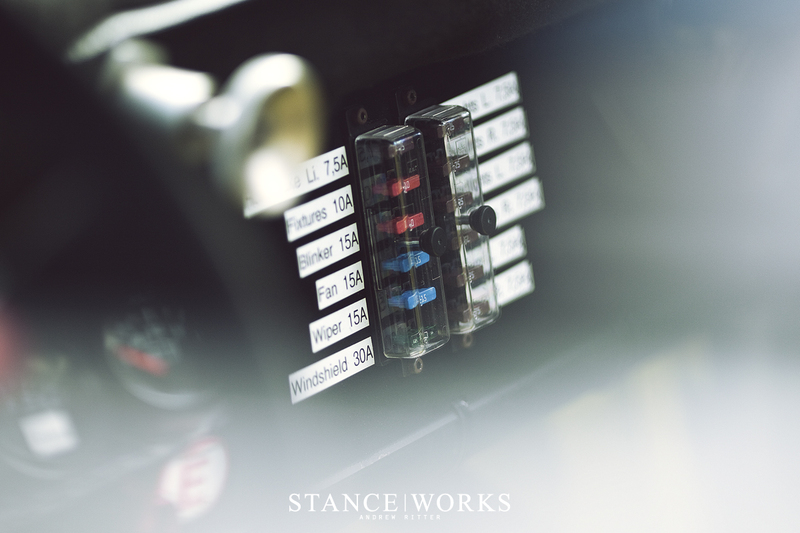 Their weight, size, and power all offer radically new precedents to everything required for competitive driving. 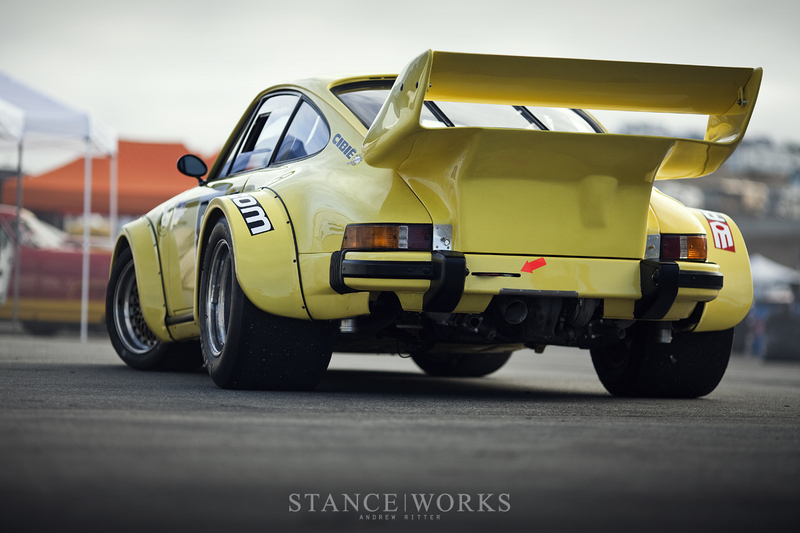 However, Bill's affinity for a particular 1976 Porsche 934 was reason enough to dive head first into the world of vintage GT racing. 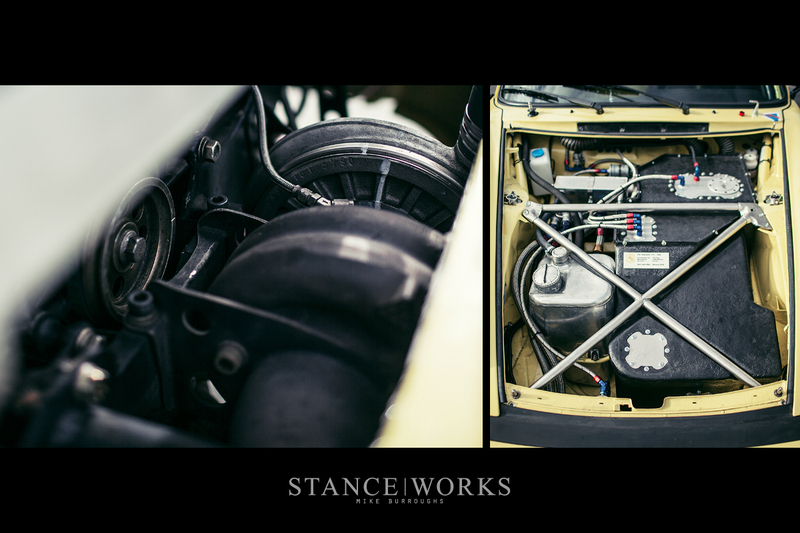 Though his name is likely unfamiliar, Bill Kincaid is rather well-aquainted with StanceWorks. As Ron Perry's business partner at Vintage Motorsport Group, Bill has had a helping hand in several of Ron's creations that we've had the chance to share. 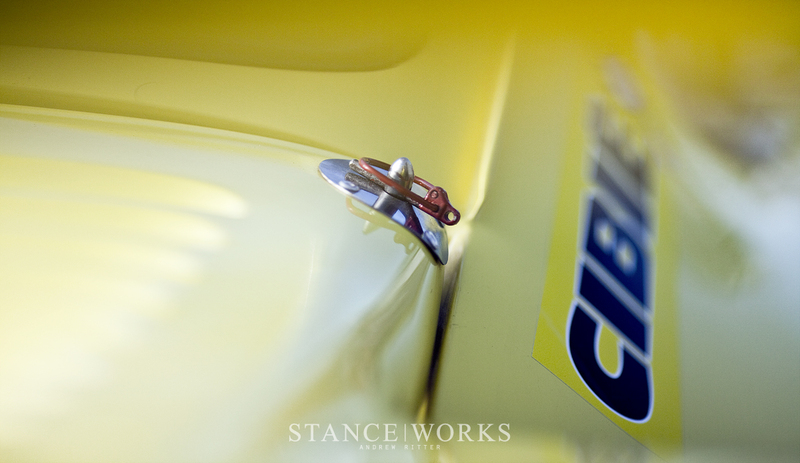 If I had to guess, perhaps it's Ron's closeness to the world of GT cars that helped move Bill towards "the dark side." Or perhaps it looked as though Ron was having all the fun, and Bill yearned for a project of his own. 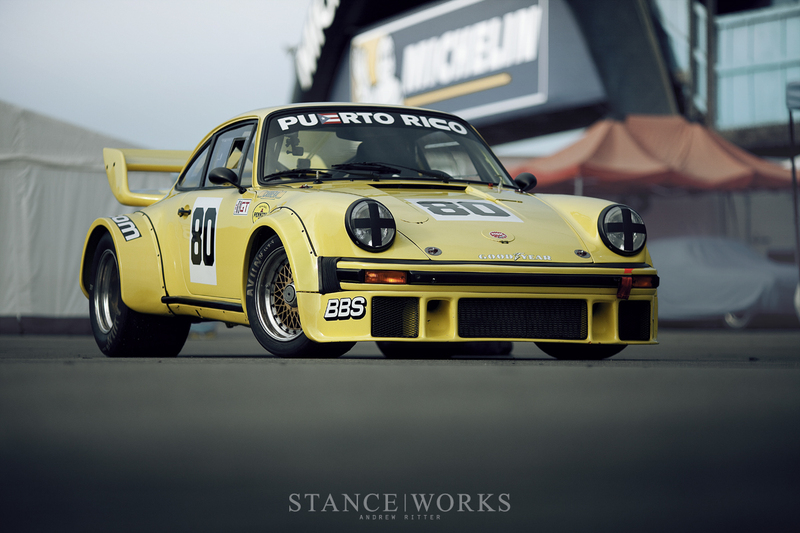 The two have made a name for themselves thanks to the high-profile, high-dollar, and high-regard builds Ron has rolled out, and it should come as no surprise that Bill's Porsche 934 has been held to the same standard. 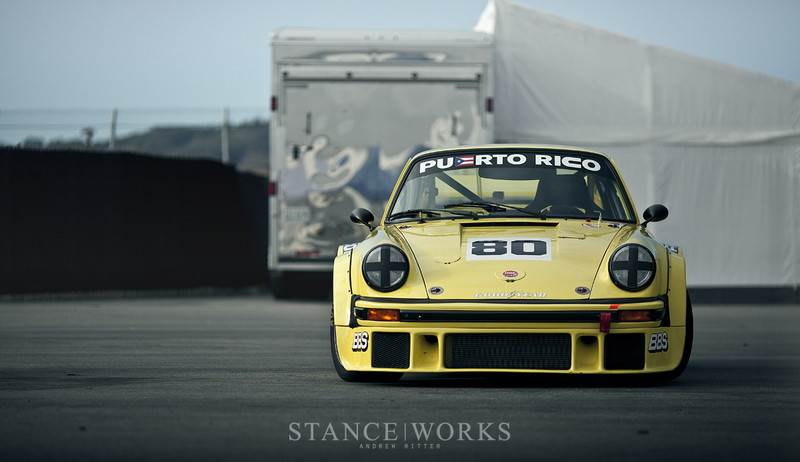 This particular Peurto Rican Porsche has deep roots in racing, perhaps deeper than face value gives way to. The lack of a formal livery may make the 934 seem like a road car built for track use, but that's the furthest from the truth. 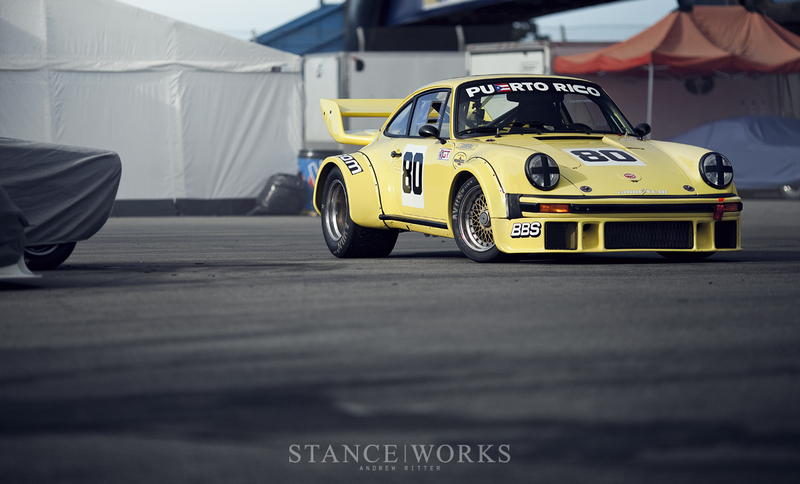 Beginning in 1976, Bill's Porsche 934 had a racing career that spanned a full decade before it was retired. In fact, the porker has a laundry list of accomplishments, including having raced in series such as ADAC/DRM, IMSA, the World Championship of Makes, and the ETCC. 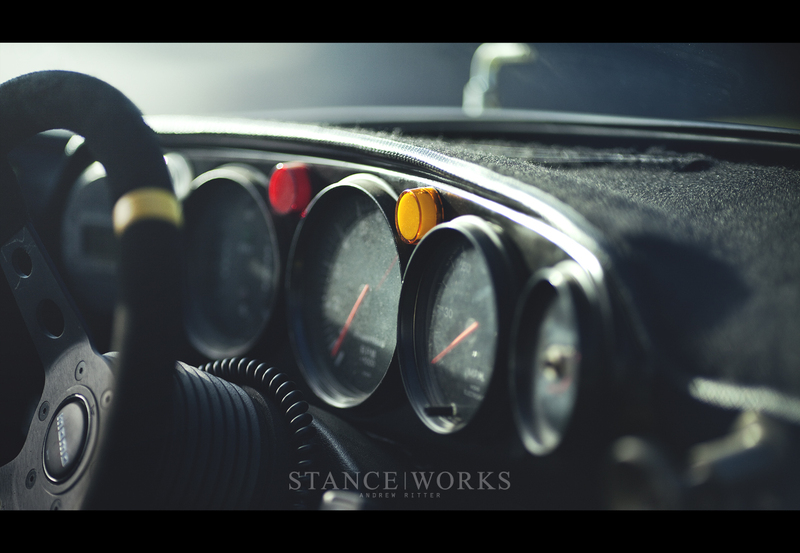 The car has competed in the most challenging endurance races the world of motorsports has to offer: the 12 Hours of Sebring in 1980, 1981, and 1986, the 24 Hours of Daytona in 1983 and 1986, and perhaps the greatest of them all, a place in the pack of the 24 Hours of Le Mans in 1980. 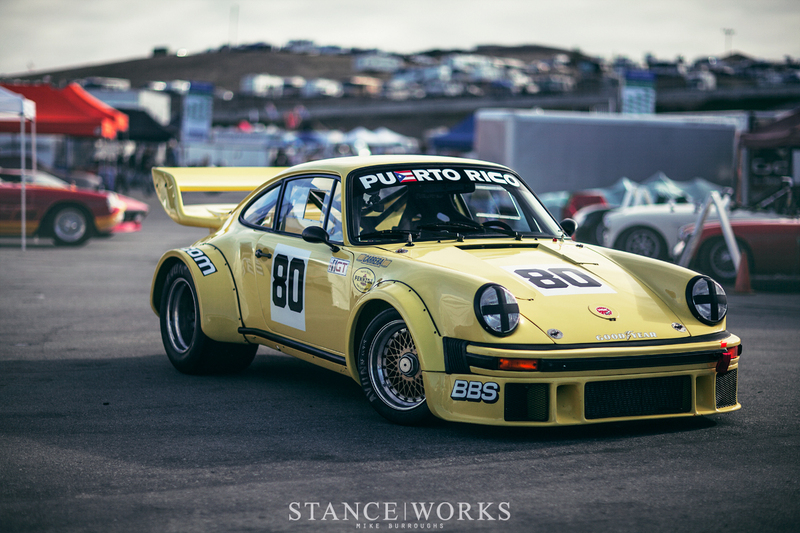 After nearly 30 years, and following an arduous rebuild, Bill brought the Porsche to the Rolex Monterey Motorsports Reunion to be reunited with the track. 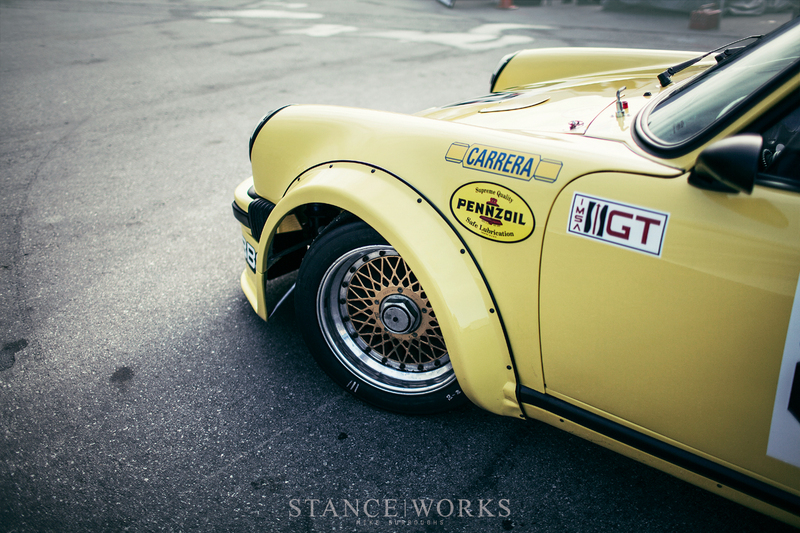 There, in the aisle of the paddock, we spent some time with the car, eyeing the intricacies and nuances that make Bill's 934 one all its own. 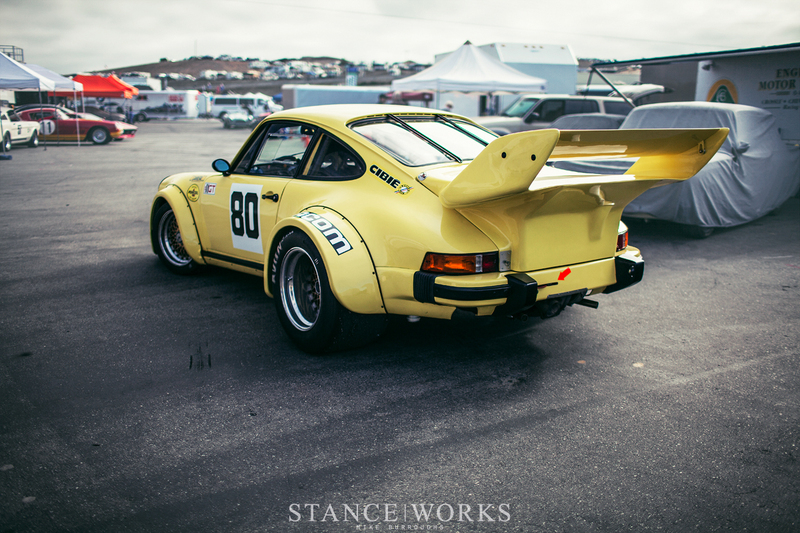 Despite the sun's efforts to dip back and forth behind cloud cover, the 934's vibrant, fluorescent-yet-pastel yellow paint glowed; it was inarguably one of the most attention-grabbing cars at the races. Passers-by stopped for photos every other minute, proving the car was impossible to ignore. In the same vein, the bodywork only lends to the cars subtlety, or lack thereof. From the rear, the spoiler towers over the tail end, obstructing the driver's field of view. The rear arches jut off of the bodywork, extending out for what seems like forever. The lines continue outward, and continue some more, before eventually rounding off to house the gargantuan rear tires. 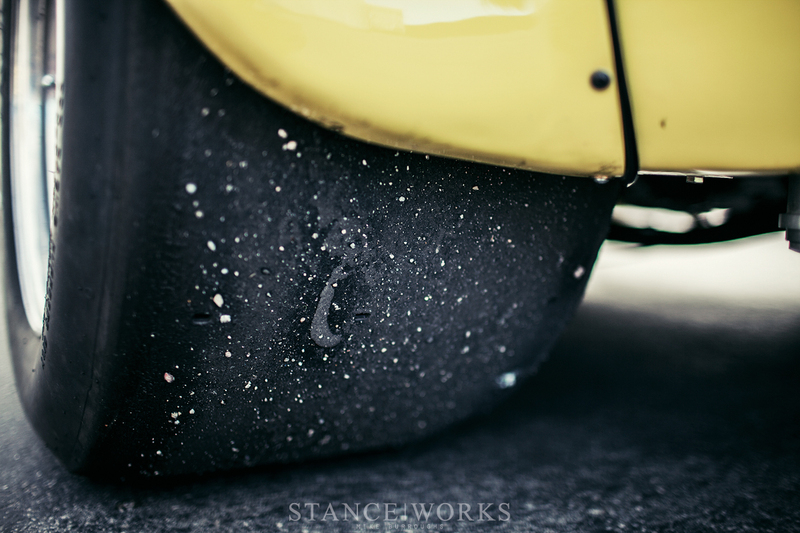 Housed within the slicks and buried deep within the lips is an iconic and familiar set of BBS centerlock wheels. 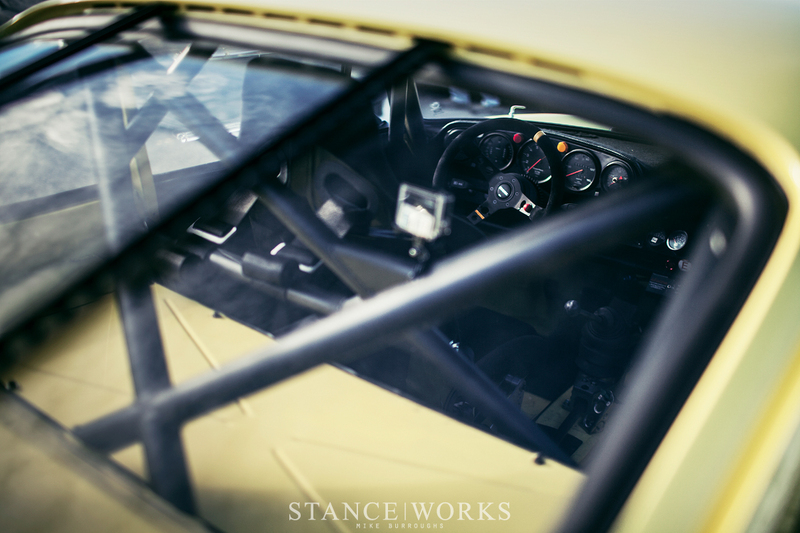 Inside the car, a black roll cage clutters an otherwise spartan and barren interior. Only the essentials are present. 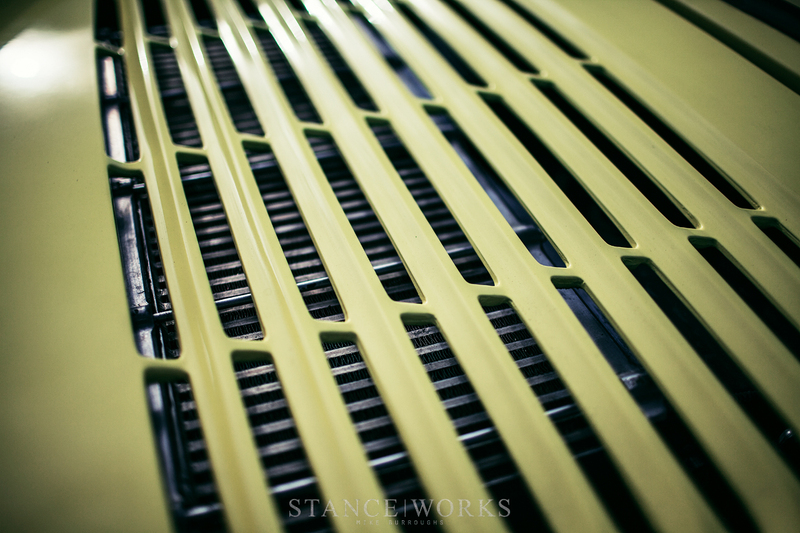 A host of lines pass through the interior, tracing the floorpan and rockers on their way to the back of the car. 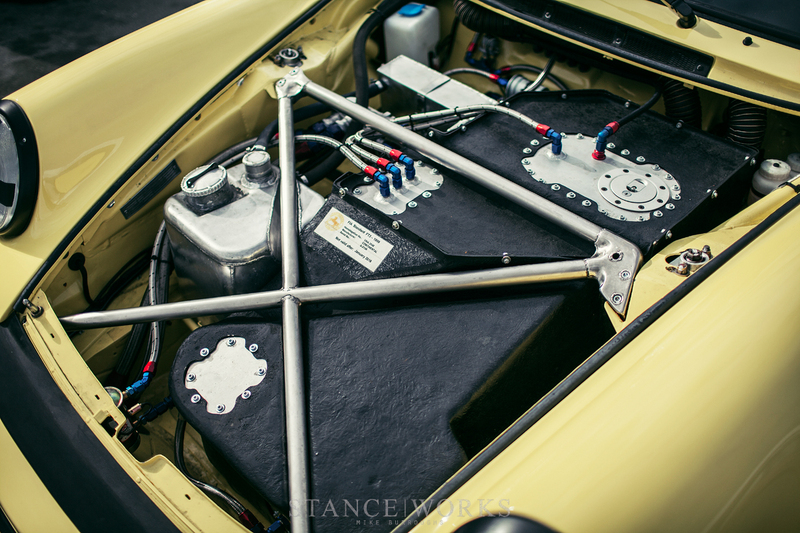 A fire suppression system is mounted to the floor, and above it, the car's fuses take the place of the glovebox. Under the bonnet of the car, the spare tire is expectedly missing, and in its place, an FIA-approved fuel cell takes up most of the available space. 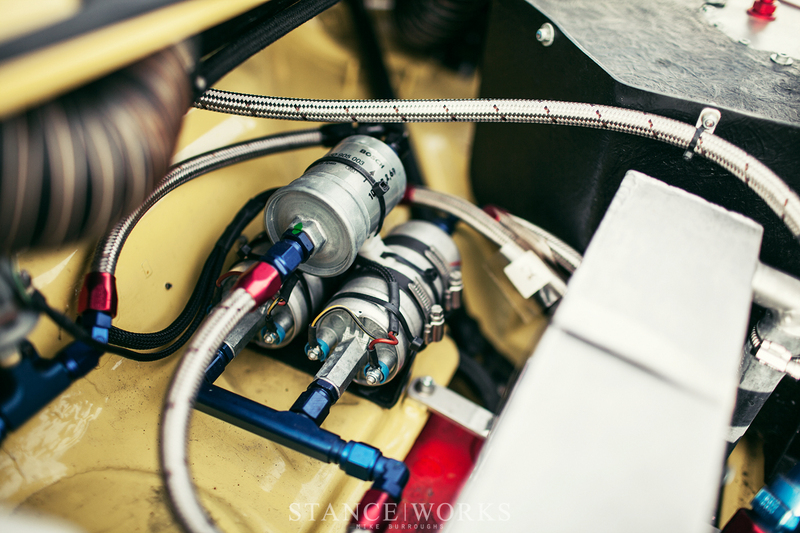 Fuel pumps and filters fill the remaining holes, with a few essential aluminum reservoirs capping things off. Most of it heads to the rear of the car, where the real excitement begins. Hidden beneath the enormous spoiler is a turbocharged 3.0-liter flat six. 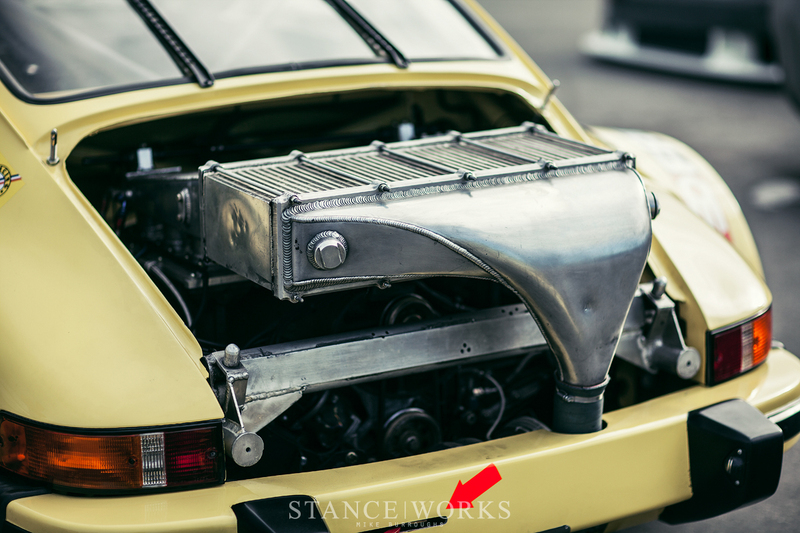 The large turbo hangs off the rear of the engine, peeking below the bodywork, making for the best automotive up-skirt imaginable. 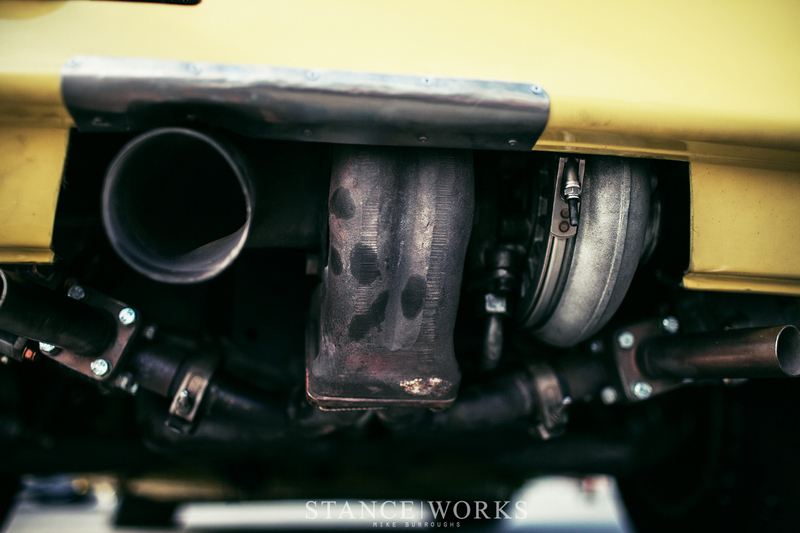 A pipe dumps just beside it, allowing for hot air to escape from the rear of the car, and with it, an abundance of that unique, mean Porsche sound. 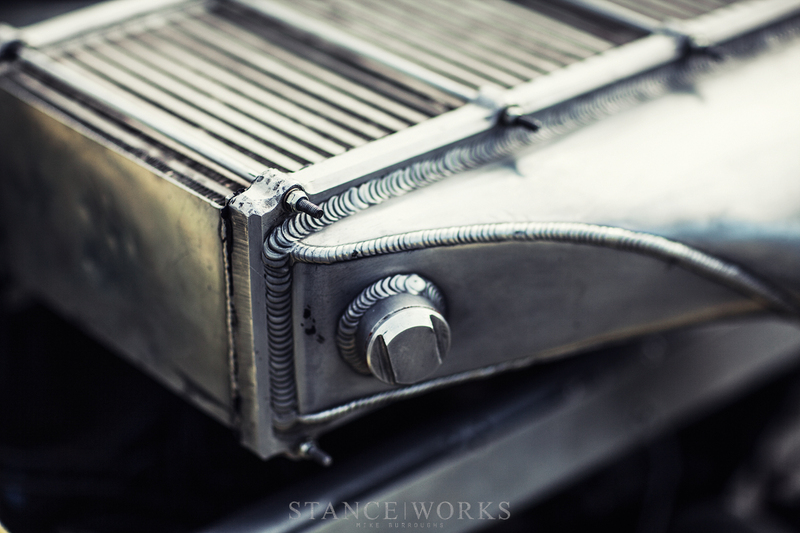 Perched atop the motor is the immense intercooler, which when combined with the rest of the parts, helps to produce a staggering 600 horsepower at the wheels. It's that figure that lends to Bill's unfamiliarity with grand touring cars. 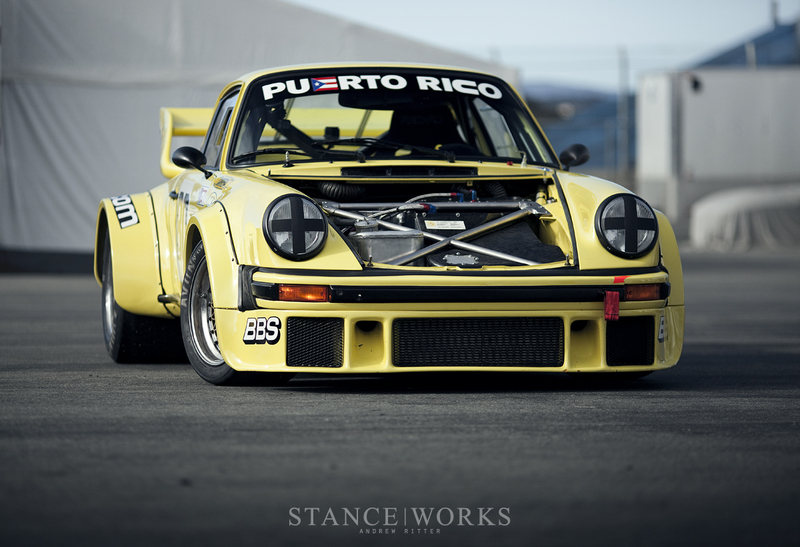 With a weight of 2,400 pounds, and 600 horsepower as his disposal, the 934 offered a lot to become acquainted with. The large turbo produces significant lag, not kicking in until 5,000RPM. The syncromesh gearbox means the use of the clutch during gear-changes is a requirement, ridding Bill of his left-foot-braking habbits. "Lots to get used to!" he says. 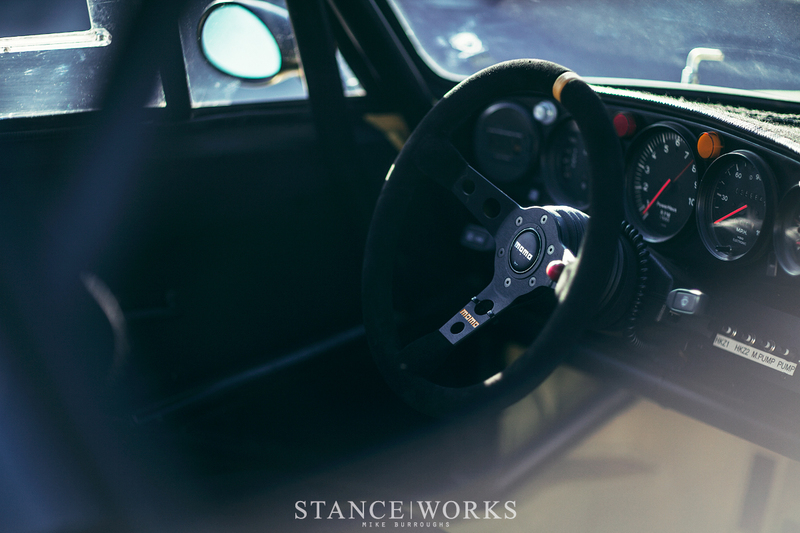 However, it took bill only a few turns before he found himself at home at the helm of the Porsche. The light and balanced nature of the car revealed itself, and while vastly different to the Formula cars of Bill's past, the Porsche held true to its reputation, providing braking and turning that was everything he had come to expect, and more. The power offers a surprising but welcome punch - "[It] starts kicking in seriously at about 5,000 RPM and after that it feels like an amusement park ride gone berserk." Disappointingly, the amusement was cut short for the Rolex weekend, thanks to drivetrain complications, but that didn't stop Bill's positive spirits. He was thrilled to have made a number of laps and to have finished a few heats. The Rennsport Reunion is just around the corner, and Bill assures me that the 934 will make another return, this time ready to win. In the weeks to come, he's sure to have some work ahead of him, but its both the highs and lows of vintage racing that bring forth its charm. It sounds as though Bill is happy with his newfound hobby, and we're anxious to see both him - and you, our readers - at the Rennsport Reunion. I like a fully polished build, fasteners clocked, and cleaned with a q-tip. I love a tidy race car.